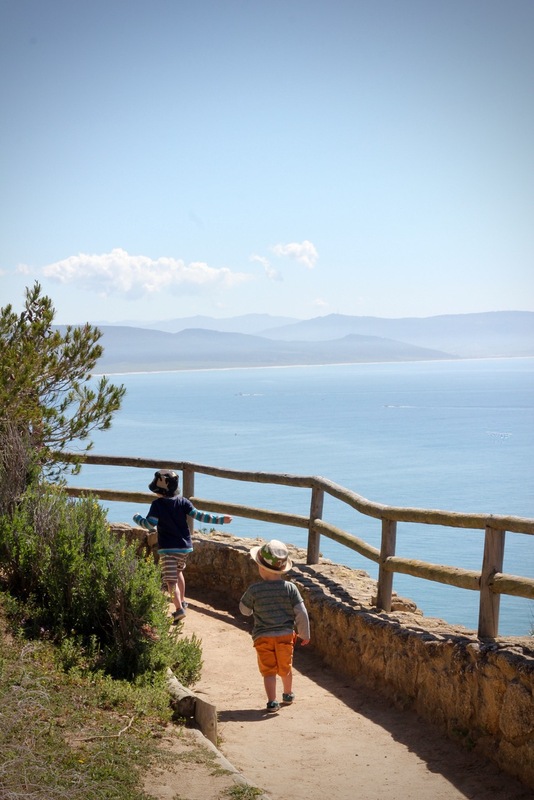 Whilst exploring the Cadiz Province in Southern Spain, we found a wonderful footpath called the Sendero del Acantilado, in the coastal park Breña y Marismas del Barbate. A costal footpath part of which is high up on the cliff tops of the Costa de la Luz. 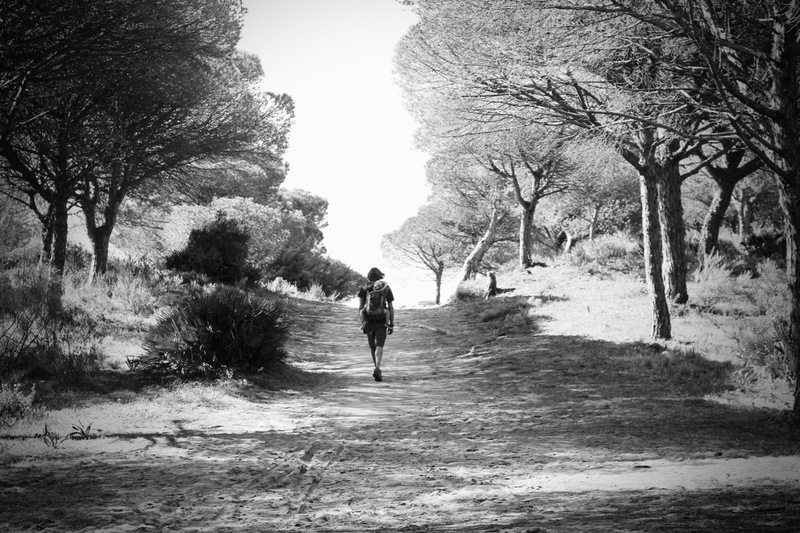 The full 7.2km walk links the coastal villages of Los Caños de Meca and Barbate. The trail leads through a pine forest with a sand swept floor. The most dramatic part of the walk is when the forest clears to reveal a 16th century lookout tower. 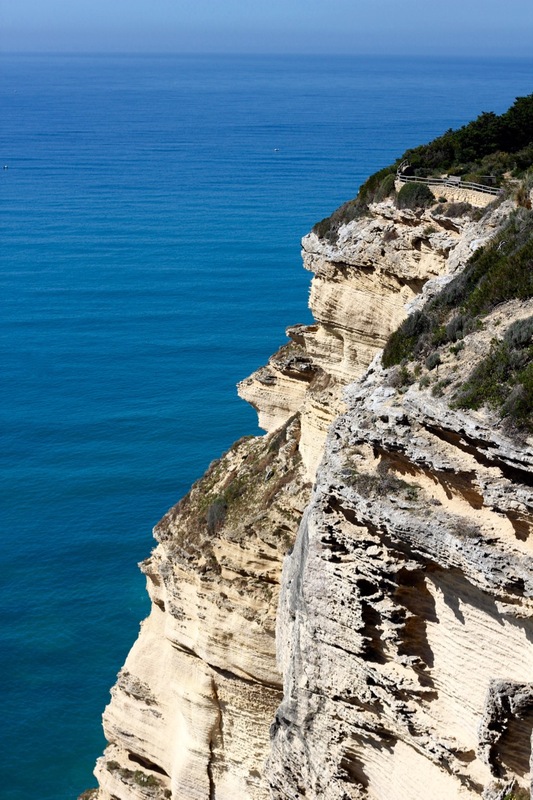 The Torre del Tajo is perched on the edge of the cliffs with views of the Atlantic and Africa, here the powerful waves crash against the rocks below. The forest was full of flowers and there were a few surprises along the path too, cows, dung beetles and a hunters trap all helped to keep the boys entertained along the walk, before a well-earned picnic at the tower. Wow that is one steep drop! Looks idyllic! The tree in the second photo is amazing. We’ve never made it as far as Cadiz but it looks like such a beautiful place to explore. Thanks, the tree is an umbrella pine. This park is approx 1hr drive from the centre of Cadiz. That looks like the kind of walk I’d like to do! Your pics really do show how dramatic the scenery is in Spain. Thanks, Lovely walk, we like the scenery of Cadiz Province very much. Thanks, the umbrella pines offer lovely shade. It was a surprise to see the cow, we’re more used to seeing goats and sheep in Malaga and Granada provinces. Andalucia is so varied. Thanks for hosting, this small coastal park has many photo opportunities as it covers five systems; marine, pine, dunes, cliff and marsh. Can’t believe we now have a photo of a dung beetle pushing dung! Thanks, and it’s nice golden sand too! Wow! 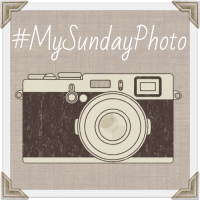 great set of photos. 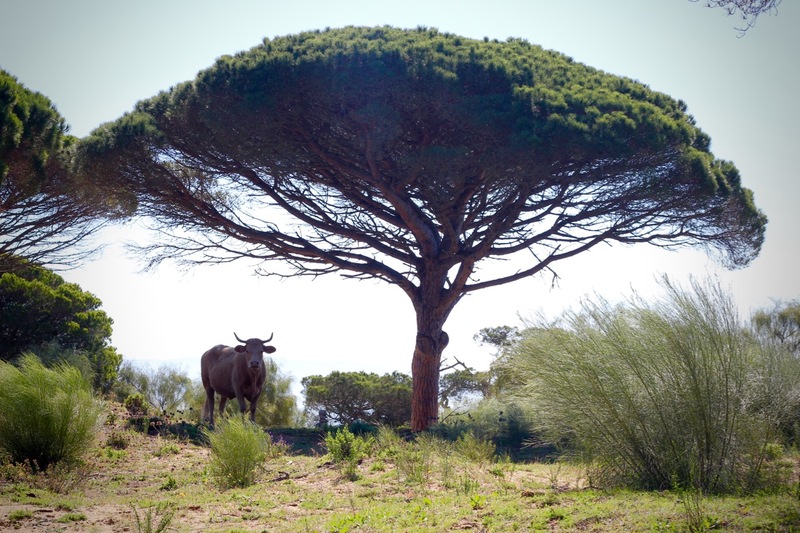 I saw your shot of the cow chilling in the shade of the umbrella pine on Instagram – love it! What a fabulous looking trail this is! Great pics of Cadiz. I need to explore this area more. I’m in Seville and have seen a fair bit of andalucia, but need to spread my wings a bit more. See you’re travelling with your kids, looks like fun. Mine are only 3 and 2, waiting for them to get a bit bigger before we start exploring. Thanks for the post. Thanks, Go for it ours boys are just 4 and 2. Can’t wait to visit Seville as a family. Any Andalucian highlights for you so far?